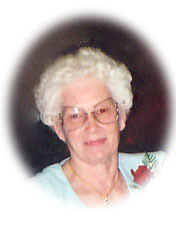 Mrs. Vivian Pearl Denbow, (nee Stevens), passed away on May 31, 2014 at the Hartney Community Health Centre at the age of 80 years. She is survived by her loving family, husband of 62 years, Ross, three children, Audrey (Tony), Garth and Colleen; her grandchildren and great grandchildren and by her siblings, Garnet Stevens, Earle Stevens and Audrey (Bunty) Allen. Special thanks, to Dr. Cram and the staff at the Hartney Community Health Centre for their support and compassionate care. Also to Dexter Kowalchuk, Rev. Wendy Rankin and the United Church family for their support and guidance. Our deepest sympathy to Uncle Ross, cousins Garth, Audrey & Colleen and families. We are not able to attend the funeral but you will be in our thoughts and hearts. Aunt Viv was a “One Of A Kind” and we will cherish fond memories of her always. Your own happy memories will keep her close in your hearts forever as she is now with the angels.